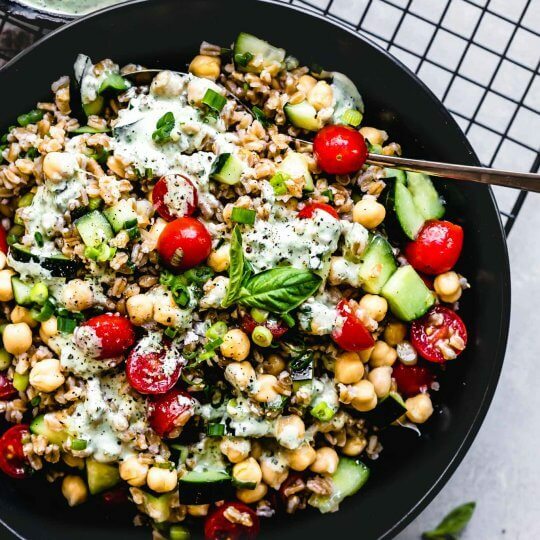 This Farro Salad with Basil Lemon Tahini Dressing is a delicious salad that can be made ahead of time, making it perfect for busy workday lunches or potlucks. 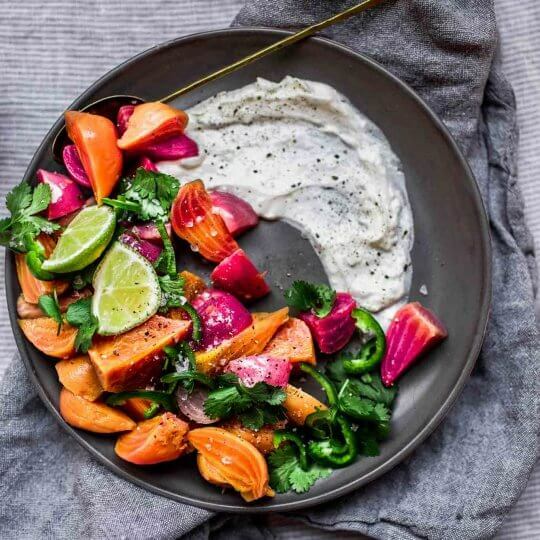 This Instant Pot Beet Salad is dressed simply with a zesty lime-yogurt, cilantro, thin-sliced jalapenos and flaky sea salt. 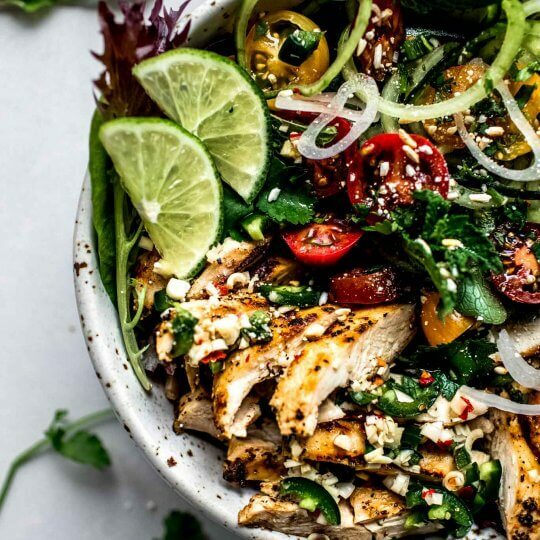 It’s a healthy salad that’s as beautiful as it is delicious. 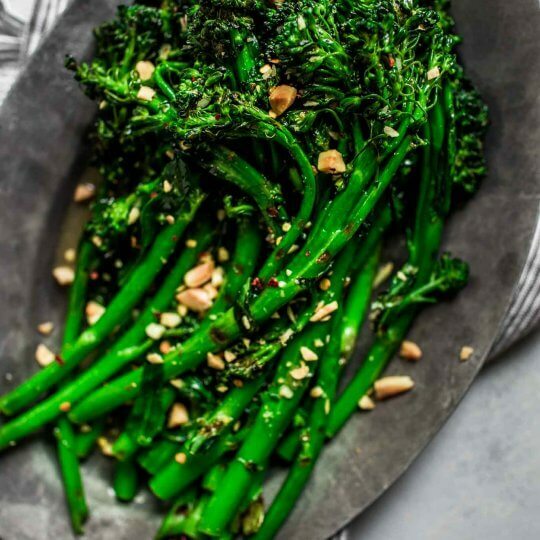 This grilled broccolini is topped with a tangy apple cider vinaigrette and marcona almonds for a delicious crunch. 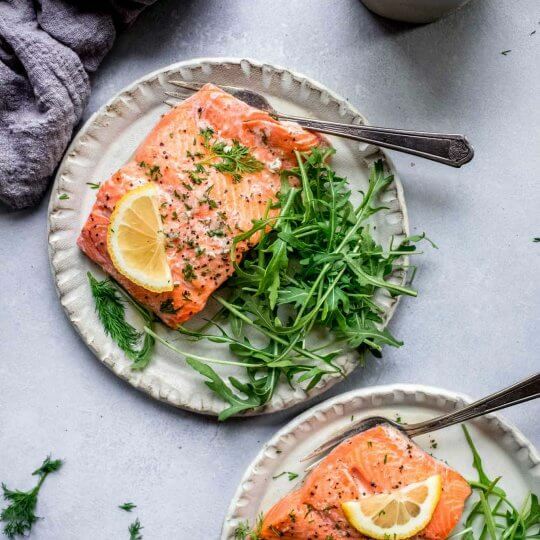 It’s a perfect crowd-pleasing side dish.